Catch up with this new this new music from R2Bees ft. King Promise, Kwesi Arthur, Darkovibes, RJZ, Spacely, Humble Dis, Medikal & B4Bonah – Boys Kasa out now! Famous and popular Ghanaian music group R2Bees are here with a brand new music record titled ‘Boys Kasa’. The title of the song draws inspiration from comic ‘Boys Kasa’ starring Kalybus. 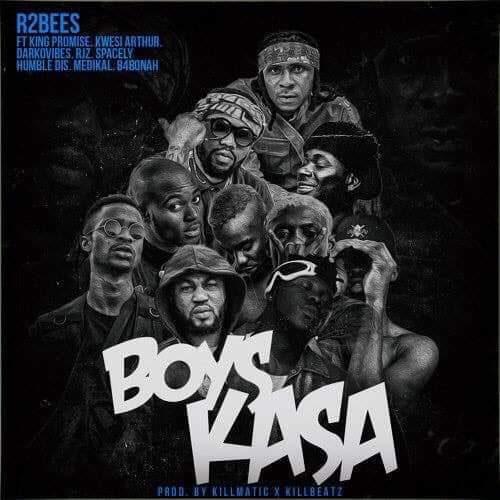 Watch & listen to R2Bees ft. King Promise, Kwesi Arthur, Darkovibes, RJZ, Spacely, Humble Dis, Medikal & B4Bonah – Boys Kasa below. Kindly share!